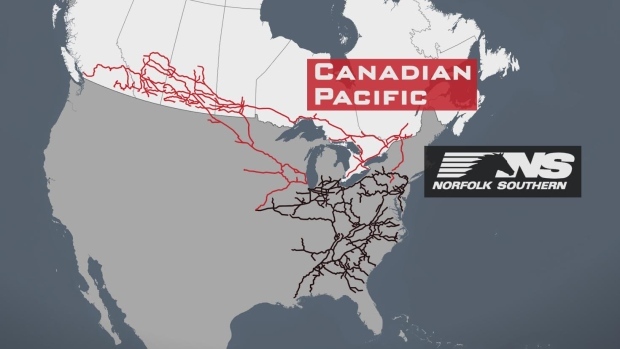 The past week has not been kind to fans of a merger between Canadian Pacific (CP) and Norfolk Southern (NS). After House Transportation & Infrastructure Chairman Bill Shuster came out in opposition, the U.S. Department of Justice’s (DOJ) Antitrust Division and the U.S. Army both issued their own calls to pump the brakes. On Thursday, the Army wrote to the Surface Transportation Board (STB) in opposition to CP’s proposed voting trust arrangement that would be used to merge the two railroads. The proposed structure would put the acquiring the railroad (CP) into a trust, while CP’s CEO Hunter Harrison takes over at NS. All of this would occur before regulators actually approve the combination, however. The Army’s Surface Deployment and Distribution Command (SDDC) oversees the Railroads for National Defense Program (RND). The program’s manager, David Dorfman, P.E., authored the letter stating their concerns about the impact of the merger to the Strategic Rail Corridor Network (STRACNET), the rail network that “consists of 38,800 miles of rail lines important to national defense and provides service to 193 defense installations whose mission requires rail service,” according to GlobalSecurity.org. A day after the Army opposed the voting trust structure, the DOJ’s Antitrust Division released their letter to the STB that warns against the proposed structure, citing its failure to properly preserve the independence of the two companies while seeking regulatory approval. They also cite the harm that could come to current and future competition as a result. TCU opposes this further consolidation of the freight rail industry – of which there only seven remaining Class 1 carriers. A merger between CP and NS would undoubtably cost thousands of jobs from the CP-NS merger alone (as CP’s CEO Hunter Harrison is known for), but that does not include the subsequent job losses that would occur from the afforementioned “downstream” effects as other carriers are forced to combine as well.